They are spoiling our community – and the community is striking back. The vandal, caught in action. A restaurant has put a bounty on the head of a vandal who has targeted at least one institution in the town, and could have also been caught on film the week before. Vandalism is becoming an unpalatable part of the Cambridge diet – and in response residents are turning to social media to catch the crims. Alpino Cambridge’s Facebook page announced the bounty alongside footage of a pot-pushing vandal taken just before midnight on Saturday. 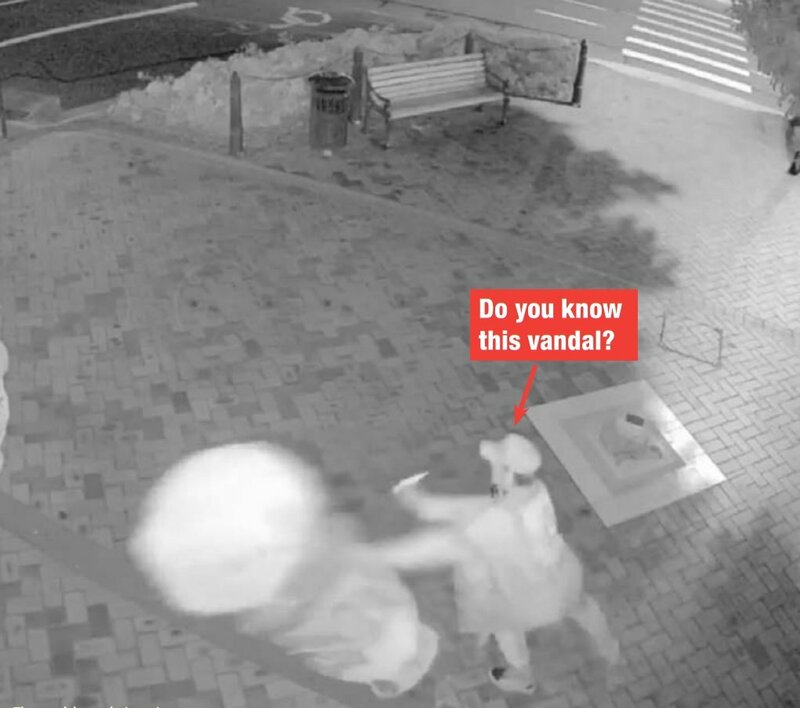 The video footage showed the cap-wearing vandal shove over a large pot before continuing his wide stride down Victoria St, toting what looks like a soft serve ice cream. Alpino owners Noel and Kim Cimadom were surprised the person, which looked like a young man, could push the pot so casually, having required three men to move their other identical pot. 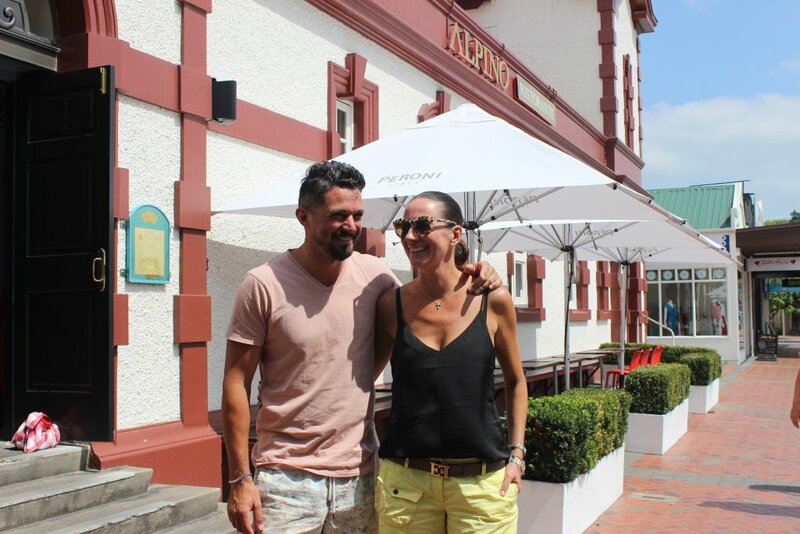 Alpino owners Noel and Kim Cimadom. Despite losing a ceramic beauty valued at around a thousand dollars, the Cimadoms say what they’re really concerned about are the more important issues in society, like sustainable recycling and climate change, and problems facing other businesses in the Cambridge CBD. “We know many more people have had serious vandalism issues on Victoria St, well beyond tipped pots,” Kim said, adding that they wished to thank the public for their response. The Alpino Facebook page has seen a surge in “Likes” (followers) as a result of the viral post, and the owners say they intend to stand by their offer of a $200 Alpino voucher for the person that can successfully identify the perpetrator. Police have been informed of the matter and additional CCTV footage in the area was due to be assessed this week. Waipa District Council spends tens of thousands of dollars on repairing intentional damage to signs, bus stops, street furniture (such as seats and bins) and removing graffiti each year. In response to the Alpino posting, Robyn Chappell of Huntington Stables Retreat Accommodation pledged $100 “towards the replacement of this gorgeous pot”. The body corporate chair of Lakewood Cambridge also chimed in, “Wonder if it’s the same guy that the week before walked around Lakewood Cambridge and pulled out plants. This footage is from Hells Pizza and shows him in action,” Mary Anne Gill wrote. 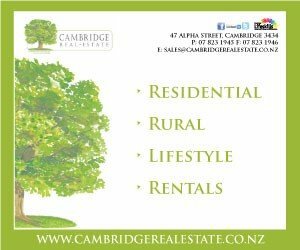 The video can be viewed by searching Alpino Cambridge on Facebook.